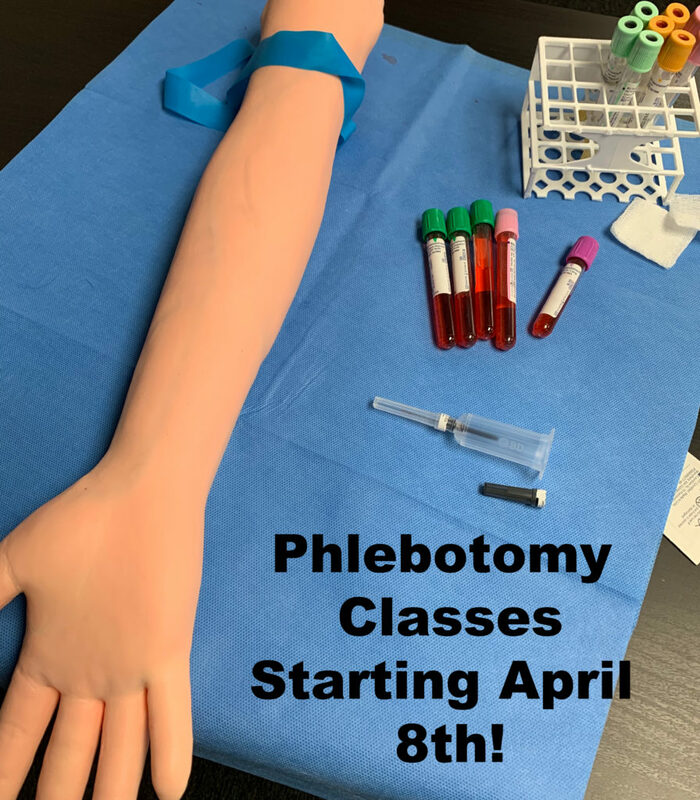 Home Uncategorized Phlebotomy Training Starting on April 8th! 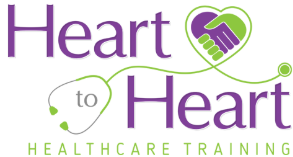 Heart to Heart Healthcare Training has recently started a new program and now offers Phlebotomy training. You can earn your Phlebotomy certification is as little as 8-weeks. Are you wondering exactly what Phlebotomy is and what the role of the Phlebotomist is? You are not alone; many people are unfamiliar with these terms. First of all, Phlebotomy is the process of withdrawing blood for the purpose of medical testing. The person who withdrawals the blood is called the Phlebotomist. Phlebotomists are hired in hospitals, doctor offices, blood donation centers, dialysis centers, plasma centers and more. As a phlebotomist you have the option to work in several different healthcare settings and impact several patients each day. If you are caring and compassionate about helping others, this is a job for you. This is a great introduction into the healthcare field and can be used a stepping stone into another career or a career on its own. According the Bureau of Labor Statistics the demand for Phlebotomists will continue to be 25% higher than all other occupations. The average hourly wage for a Phlebotomist is anywhere from $12.00 to $18.80. Our Phlebotomy class is eight weeks in length, and consists of blended learning environment. The first four weeks of class takes place online, where the student will login to our online classroom on our website and complete lectures, assignments, quizzes and more. The last four weeks of class take place at the school, where the student will come into the school on Tuesday and Thursdays from 5pm to 7pm to get familiar with the phlebotomy equipment as well as practice blood draws. At the end of the class the student can sit for the National Exam (included in tuition). The total cost of our Phlebotomy class is $650. This includes all needed supplies, and the national exam for Phlebotomy certification. To begin the class and secure your spot we require a deposit of $300. The remaining balance of $350 would be due by the end of the 4th week of class. Our next available class is April 8, 2019. It’s not too late to sign up for our Phlebotomy course, we still have a few openings at both locations. Apply today or call us for more information at (800) 970-2918.